Posted on July 24, 2014 by Kyle H.
SYLO is a story about an island off the east coast of the United States of America where there is supposedly a virus that leaked out. 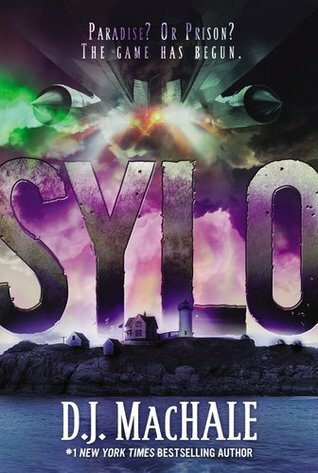 A group of kids on the island tried to figure out what the virus is and why SYLO came. The longer SYLO stays on the island, the more suspicious the inhabitants get. Now, these kids will try to find out everything. All information will be theirs about SYLO, the mysterious Ruby, the victims of the virus, and who else is involved. As they learn more, they discover the SYLO officers contacting their parents. Once this is discovered, the kids get even more suspicious. Their limits are tested as these kids will be chased, questioned, in danger, and scared. But in the midst of all things seeming lost, there is always friendship and determination to get them through whatever task might come before them. However, there might be obstacles that even these determined kids cannot surpass. Such as alien weaponry, and government associations that out-man, outgun, and might outwit these kids on their journey to find the truth and the lies. What is the virus? Who is SYLO? Why are their parents involved? How did the Ruby get onto their island? What are the kids going to do about everything? All of these questions will be solved when you read SYLO. This entry was posted in Book Reviews and tagged d.j. machale, science fiction by Kyle H.. Bookmark the permalink. I love you awesome review. It’s very interesting.